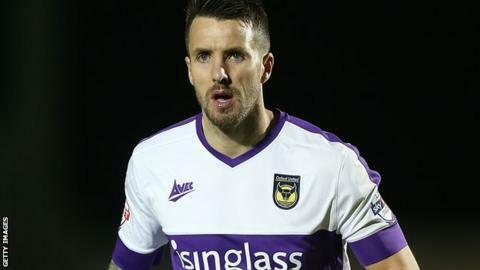 Midfielder Michael Collins has left Oxford United by mutual consent, having failed to make an appearance for the League Two club this season. The 29-year-old played 42 games for the Us after joining from Scunthorpe in the summer of 2014. The former Huddersfield player spent time on loan at York City earlier this season, making seven appearances. "There's a new challenge ahead for me and I've enjoyed my time at Oxford" Collins told the club website.